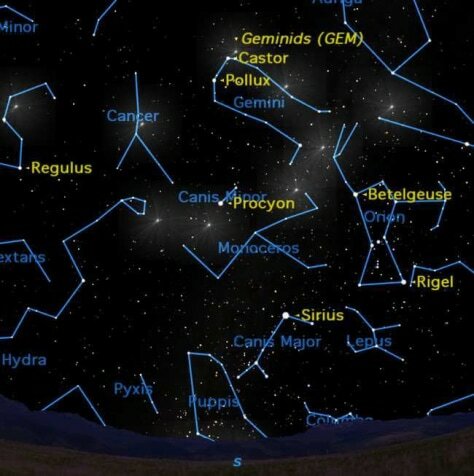 The Geminid meteor shower, on the morning of Tuesday, Dec. 14, is the best for 2010. This view shows the radiant at its highest point, at 1 a.m. ET on Dec. 14. Bright stars and constellations are shown as landmarks.